Ronna Phifer-Ritchie, PhD is a Professional Relationship Coach, and Enneagram of Personality Expert. Her Specialty is Accelerating Couples' Developmental Journeys by Integrating Personality Development Work Into the Coaching Process. 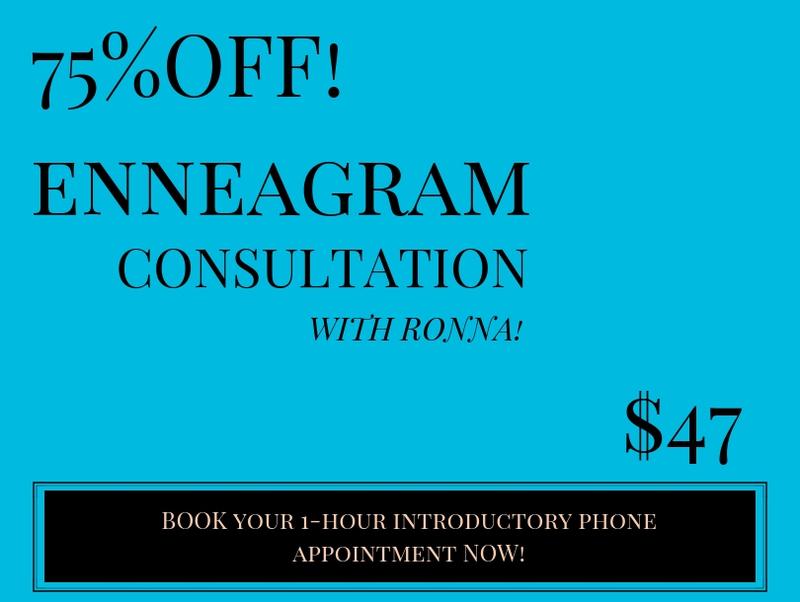 Ronna is the Founder of THE RELATIONSHIP DOCTOR Coaching Service, & Co-founder of the THE RItCH JOY GROUP (HELPMORECOUPLES.COM), offering Professional Trainings for Therapists, Coaches, & Pastors, based on a Theoretically Integrated Model for using the Enneagram Personality System to Accelerate Couple Development and Break Through Stubborn Impasses in Couples Work. She is the Author of the RELATIONSHIP BUILDERS BLOG, a Technical Writer for Several Enneagram of Personality Publications and Training Programs, and a Frequently Requested Retreat Speaker and Workshop Facilitator in the Area of Personality Style Development and Relational Health. The “First, Middle, Last” Research in Birth Order issues in romantic partnerships is Becoming Obsolete. The conversation that matters most for RELATIONSHIP SUCCESS is how birth order issues interact with 2 other important factors: personality health & couple development! Also, stay Tuned for More Articles by Ronna on The Topic Of How Family Structural Changes Are Affecting Our Relational Styles! LAST BORNS: Themes of Attention-Seeking, Adventure, & Being Cared for Can Often Come Up as Needed Discussion Points When One Partner is a Cherished Last-born. That Relaxed-to-Reckless Spectrum Can Make Room for a Lot of Life in the Marriage, and Yet May Leave the Other Partner Feeling Left to “Be in Charge” All the Time. However, You Can Learn to Truly Appreciate & Enjoy Those Last-born Assets, and Behave in Ways that Invite Your Baby-of-the-Family Partner to Explore New Ways of Being in the World! And, by the way, Exactly Where Your Last-born Partner is in the Gender LineUp and what the In-between Sibling Gaps Look Like Also Impact Their World View. (The Enneagram styles that tend to magnify last-born traits the most are the Peacemaker style, the Individualist style, & the Enthusiast style. The Enneagram styles that tend to balance last-born traits the most are the Reformer style, the Helper style, the Achiever style, & the Investigator style.) Book a Session for You and Your Significant Other and Get Started on the Journey to a More Effective Partnership with our Your First Relationship Coaching Package! Read the FULL ARTICLE on the Diabetes Council’s Website HERE! 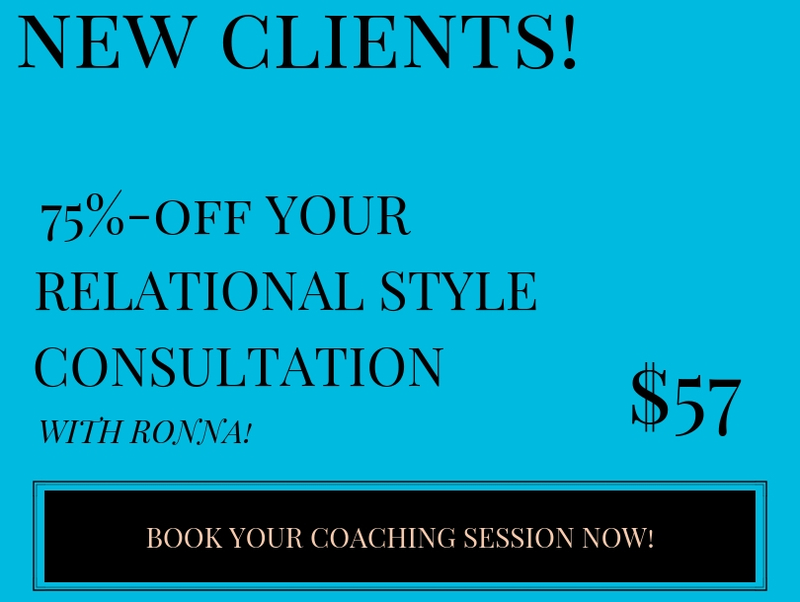 Or…..Read Dr. Ronna’s specific tips on about how relational style awareness can help! Using the Enneagram to create better family support systems for diabetic Americans – READ RONNA’S SECTION NOW! Good, close relationships are essential for our mental health, and that is even more true for the millions of Americans facing the medical challenge of diabetes. Theirpsychological well-beingis essential to sustaining the motivation and the perspective needed to live life well with the extra demands diabetes places on life-management resources. The research is clear: psychological and medical issues need to be cared for together to create the best outcomes with this health challenge (Monitor on Psychology, More Psychologists Needed to Treat Diabetes), and healthy family relationships create a foundation for effective management of this disease that should not be overlooked. The question is, how do we, as family members, best create that kind of healthy relational environment for our loved one diagnosed with diabetes? 95% of the diabetics in this country fall into the Type-2-Diabetes category, where lifestyle choices have been shown to be even more effective than medication (NIH-funded Diabetes Prevention Program, New England Journal of Medicine, 2002). Therefore, our ability to show up for these individuals in ways that encourage their best behavior choices is worthy our ongoing attention, especially if we in their circle of highly significant family connections. In my work as a relationship coach and personality style researcher, I have observed that family members’ relational styles often deteriorate, become more automatic and less relational, in response to stress. This is where an understanding of our relational style can be so helpful for the concerned family member of the diabetic who truly wants to support and encourage their loved one in building an effective life and good relationship with reality. IfI, as a family member and support person, notice that I am starting to slip into my personal Enneagram relational style “over-doing-it” traps, that is a clear signal that it is time for me relax, take care of myself, and do some work on my own supporting and encouraging patterns. If I lean towards being a…. REFORMER Type: I’m wonderfully principled, idealistic. But, under stress, I can slip into feeling an obligation to “fix” my loved one or resenting them for managing their program imperfectly, and criticizing and finger pointing from an almost parental position. HELPER Type: I’m astoundingly caring, interpersonal. But, under stress, I can slip into doing things for my loved one just so I can feel needed, leaning into their life in an imposing way, forgetting to have a life of my own and ignoring my own needs. ACHIEVER Type: I’m remarkably adaptable, success-oriented. But, under stress, I can slip into being overly concerned with image and what others think of my loved one’s ability to manage their illness, even pushing him/her for the sake of appearance. INDIVIDUALIST Type: I’m exquisitely introspective, romantic. But, under stress, I can slip into withholding myself from family due to feeling defective, pulling back from needed structures in the household, with a self-absorption that can cause me to miss important things going on with my loved one. INVESTIGATOR Type: I’m profoundly perceptive, cerebral. But, under stress, I can slip into detachment, and being so high-strung and intense when I am around my loved one that I flee to isolation, instead of nurturing the healthy relational contact we both need. LOYALIST Type: I’m honorably committed, security-oriented. But, under stress, I can slip into being overly cautious and indecisive, and reactive. I can get stuck in irrational doubt about myself and my abilities to handle things, and in suspicion about my loved one’s compliance with treatment. ENTHUSIAST Type: I’m excitingly busy, optimistic. But, under stress, I can slip into constantly seeking new and exciting experiences, becoming distracted and exhausted by staying on the go. I can run from the reality of my loved one’s discomfort and needs in this flight. CHALLENGER Type: I’m impressively powerful, aggressive. But, under stress, I can slip into believing I must control my environment, especially my loved one, sometimes becoming confrontational and intimidating. This can damage the needed vulnerability between us that builds relationship and helps my loved one feel his or her own power. PEACEMAKER Type: I’m deeply easy-going, self-effacing. But, under stress, I can slip into being complacent, simplifying problems and minimizing anything upsetting. The inertia of our family patterns and my stubbornness can keep me from noticing when my loved one needs important intervention in their health journey. The remedy when I slip into unhelpful relational patterns with my family member?I need to remember that I can stay awake to this kind of relational style automatic “slippage,” and correct course when necessary. Then I can continue to be a well-functioning part of that relational foundation so necessary for my loved one’s best psychological and medical outcomes in life! Take the Next Step in Your Relational Growth Adventure Today! Posted in Marriage Counseling, People, Psychology, The Relationship Doctor Blog, Uncategorized Leave a Comment on Creating a healthy Relational Environment for Diabetic Family Members! 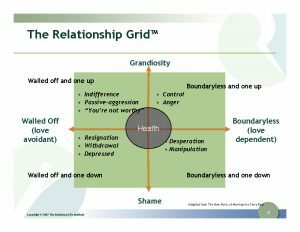 Posted in Uncategorized 18 Comments on THE RELATIONSHIP GRID – A Fascinating Tool Created by Terry Real, Master Couples’ Therapist! Couple happiness has the same problem all human happiness tends to have: we habituate to it. This has been referred to by researchers as the hedonic treadmill. Without doing the work of relational growth, it’s very easy to let our amazing partner and valuable connection fade into life’s wallpaper of normal expectations. That is, all those gifts from God become a kind of happiness baseline that we just grow to expect every day. It doesn’t give us the happiness jolt that it used to give us. And we start looking for that jolt somewhere else. So we add a new career, a new social group, and the same thing happens with each new shiny object we grab at…..it becomes part of our life’s wallpaper, we don’t even notice it after a while. These are the things about my relationship with my partner (no matter how small or insignificant those things may seem to the observing world) that tell me who I really am, and what I really care about. It’s an awakeness issue. I stay awake for our weekly Saturday morning coffee and reading-the-New-York-Times appointment, our occasional picnics at sunset, the bittersweet absence of the sound of her laughter when she’s out of town, the undefinable smell of him coming through the door after work, the sight of her bare back when we’re in bed, the things we both like to laugh about, the things we’ll never have in common and the funny stories those mismatched fantasies have created…..the list is as long and eternal as love itself. When does the nice guy win? So, when does a nice, but maybe not-so-attractive, person best have a shot at garnering women’s romantic interest? The evidence points to a fascinating subjectivity in women’s judgments: women were much more interested in the responsive (i.e.., nice), unattractive target when they have previously viewed an unresponsive (i.e., not so nice) target (Spielmann & MacDonald, 2016). This target could have been unattractive or attractive: in either case, the responsive and unattractive target was preferred. Contrast effects seem to play a fairly big role in the very first impressions that then translate to future interaction, but scholars have yet to examine how they could play out later, once a relationship is off the ground. Perhaps comparing to other couples, or contrasting with other ex-partners, has a role in relationship maintenance. ONE: Do I need to widen my focus beyond my personal expectations of our life as a couple? TWO: Do I need to widen my focus beyond my hyper-attention on how much someone else is demonstrating that they love me in our life as a couple? THREE: Do I need to widen my focus beyond the constant comparisons with which I am concerning myself, in our life as a couple? FOUR: Do I need to widen my focus beyond my self-absorbed definitions of depth in our life as a couple? FIVE: Do I need to widen my focus beyond insisting that every experience in our life as a couple be run through my demanding cognitive filters to determine its value? SIX: Do I need to widen my focus beyond ensuring a risk-free environment for our life as a couple? SEVEN: Do I need to widen my focus beyond making sure I’m never uncomfortable in our life as a couple? EIGHT: Do I need to widen my focus beyond my vision of what needs to be moved along or managed next in our life is as a couple? NINE: Do I need to widen my focus beyond my avoidance of conflict, as a path to my version of happiness, in our life as a couple? using THIS METAPHOR on distant stars in the sky? 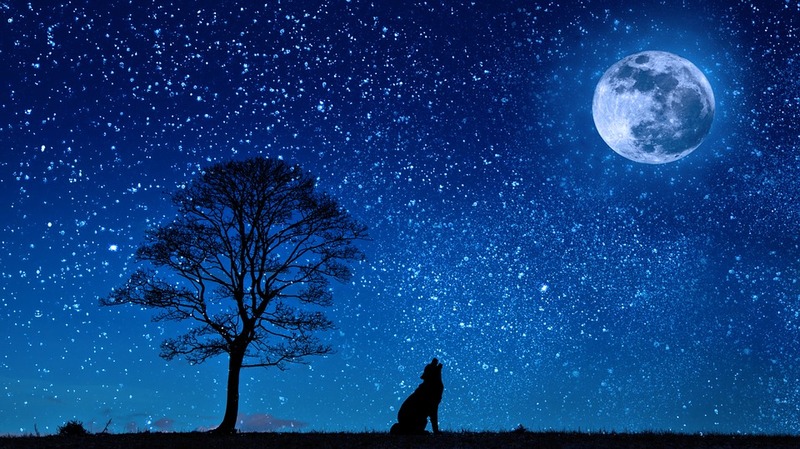 Speaking of contrast, spiritual masters often teach their students about authentic happiness using this metaphor regarding viewing distant stars against the dark night sky! One of my teachers once told me to look up in the sky at night and pay attention to this important metaphor for happiness: There are stars that are far away, very important, very beautiful, but can only be seen if you DO NOT FOCUS ON SEEING THE STAR. Why? Because those stars are dim to the human eye, and the contrast is low against the dark sky. The ocular neurons called rods concentrated in the outer part of the human eye pick up contrast better than the cone neurons concentrated in the center of the human eye. If you look just off to the side of one of those distant stars, off into space, the star will reveal itself. Happiness is like this. It cannot be chased directly….if it is it just becomes a bright shiny object that goes the way of the hedonic treadmill. You have to look beyond happiness, to the whole reality surrounding it, in order to find it! Happiness is a side effect of aiming your life in the right direction, a side-effect of looking at truth when it shows up, a side-effect of determining to be a seeker of God and HIS version of reality. Authenticity Looks Good on You! Posted in Marriage Counseling, People, Psychology, The Relationship Doctor Blog, Uncategorized 2 Comments on Our Inner INDIVIDUALIST (Type 4) Teaches Us Something Important about Marriage – Authentic Happiness, Nice Guys, & the Hedonic Tread Mill! Protected: THE DAILY DOUBLE for COUPLES! Turn Those Relationship-Building Behaviors Into Habits, and Leave Your Willpower intact to Keep Your True Value System Awake During those Unexpected Stressful Moments in Couple Life. We’ve all been there! You avoid that doughnut that’s been calling to you most of the afternoon from the office coffee room, because you just started a new fitness program. Or you decided to keep that first Saturday morning commitment to getting up an hour early to do some journaling. Then, you are faced with a decision regarding good behavior you weren’t expecting today: He left his dirty socks in the hallway again! She wants to talk about that bathroom fixture that needs replacing during the game! ..AND YOU START YELLING. You’ve made a commitment to breathe and think before reacting in your relationship with your partner. BUT the doughnut or the early wakeup time seemed to have used up your willpower allotment for that day. While there is some current scientific debate about exactly what creates that phenomenon, there’s a lot of sound techniques that have been proven to address this WILLPOWER GAP in couple life. ‘The basic idea is that if you resist a really delicious piece of chocolate cake at a party, and then right after that you drive home and your roommate left his socks on the floor, you’re more likely to snap and yell at your roommate than you would have been if that cake had never been offered to you,’ said Jessica Alquist, assistant professor of psychology at Texas Tech University, whose research interests include self-control and health. …Keep in mind that self-control is on duty more often than we realize and that many of the tasks that zap willpower fly under the radar. Researchers estimate that the average adult spends about three hours every day resisting desires and half an hour giving in to ones previously resisted. Choosing lunch, making business decisions, moderating emotions and staying on task — all tax willpower, so try to make important decisions when you’re fresh. Just picking up lunch on your way to work, rather than once your willpower is exhausted in the afternoon, can lead to healthier choices. ‘One of the best ways to manage that self-control resource is to set yourself up so that you don’t have to use it,” Alquist said. Research suggests that those who have good self-control actually aren’t great at resisting desires. Instead, they use their willpower for “playing offense,’ according to Baumeister, setting up their lives to encourage good behavior (like making sure they have a gym buddy) and avoid potential land mines (like staying away from the doughnut shop). Turning those good behaviors into habits is even better. Habits leave willpower intact by putting desirable behaviors on autopilot. Plus, when our willpower is kaput, we are more likely to fall back on habits, healthy or otherwise. that Leaves You Both with a Surplus of Willpower! Start with this easy, fun exercise to create a powerful set of willpower-saving, relationship-enhancing new habits? CLICK HERE and ENTER THE PASSWORD “yourdaily2” & get the DAILY DOUBLE EXERCISE for Couples! Requires Taking Care of Your Willpower Stores! NOTICE (WITHOUT JUDGMENT), and realize at that moment you have (or had) a choice. AND if you want to really add some power to this practice, DO what we call at The Couples’ Institute AN INSTANT REPLAY! Imagine the lead up to this moment again, and what it might be like to choose to respond in a healthy way to your partner! That’s all it takes. Just keep practicing that awareness-expanding insight, and you will begin to build one of the most important habits in your relational growth journey! Powered by God’s Spirit and Grace! Getting in touch with this kind of reality throughout our relational day, means getting in touch with God’s reality….the only reality to reach for if we want to be anything beyond delusional in our decision making patterns in this life. Fortunately God’s Spirit and His Grace are readily available, all we have to do is seek them. Anyone who tells you that is not true, is probably holding back from an all-out open-minded search. The New Testament church discussed this often. After Jesus physically left their lives, they often talked about, wrote about, told stories about the only real path to this kind of remembering what matters, especially while in community. Their writings about this, our shared struggle, echo what many ancient Enneagram scholars have concluded about this work: any real work on our Type’s autopilot issues MEANS basing that journey in genuine spiritual practice. That’s You One, Willpower Gap Zero! Posted in Marriage Counseling, People, Psychology, The Relationship Doctor Blog, Uncategorized 4 Comments on Our Inner ENTHUSIAST TEACHES US SOMETHING IMPORTANT ABOUT MARRIAGE: Lessons from a Grave Digger – Notes from Master Couples’ Therapist, Peter Pearson! Posted in Marriage Counseling, Psychology, The Relationship Doctor Blog, Uncategorized 6 Comments on Your FREE Enneagram Personality Tests from THE RELATIONSHIP DOCTOR! the Same Person with Different Names? Sometimes we feel stuck in relational patterns, feeling like we’re living the same script, over and over again, just with new actors playing the parts. Attachment patterns in the relational nervous system are coded in childhood, and determine a lot in terms of how healthy our personality “auto-pilot” functions as we enter adulthood, especially in our romantic relationships. Relational anxiety drives the pattern in deeper; so every time we avoid reality’s feedback to keep doing the same unrewarding behaviors and making the same stress-inducing choices in our relational lives, we create more anxiety, and we keep the attachment style going. However, attachment experts site a few important choices we can make that have a deep and lasting effect on the level of anxiety driving our attachment patterns, and thus an impact on how we can shift into more secure attachment patterns. 1. Manage significant stressors in life well. Get support and create structure you need – it reduces the over-all anxiety in your relational life, which is good for moving you out of anxious or avoidant attachment patterns and into more secure ones. 2. Engage in new, emotionally-correcting relational experiences, like being in a committed relationship – that can change those patterns. 3. Seek secure partners, with good attachment work in their history that grounds their relational patterns – this can be a health-bump in your way of being in relationship. 4. Support your relational life with counseling or coaching, to help you understand when and why the attachment anxiety gets triggered – a smart move, in the direction of healing. Level of Health Trumps Every Other Factor in Dating Choice! The experts have observed a deep scriptural theme here. If you want big changes in your relational habits, make sure your most intimate circle includes healthy, loving people who KNOW HOW to do relationship well. 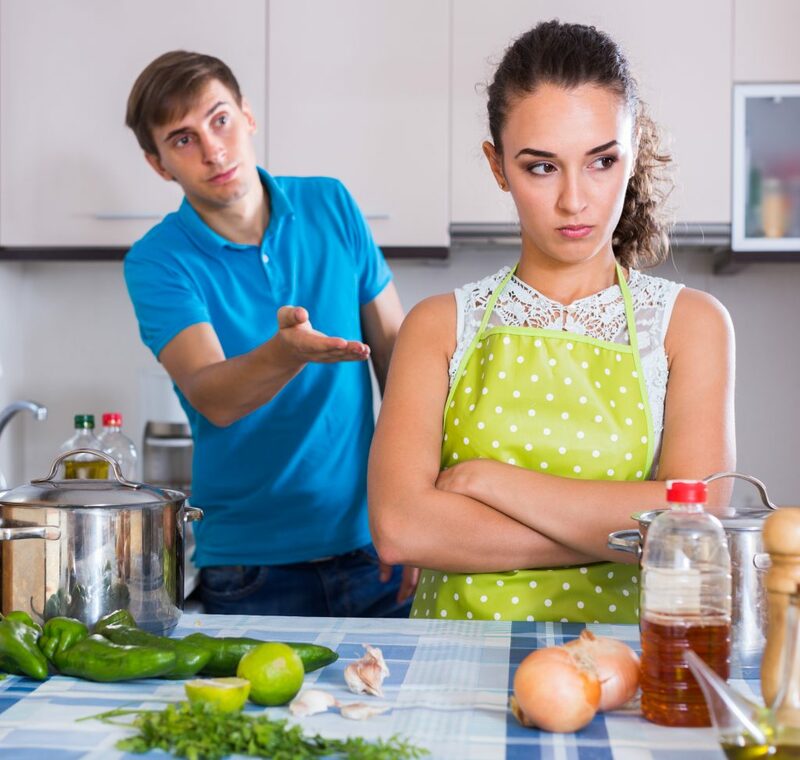 Posted in Marriage Counseling, People, Psychology, The Relationship Doctor Blog, Uncategorized 3 Comments on 4 Expert Tips to Help You STOP DATING THAT SAME PROBLEM with Different Names! 9 Ennea-Wise Techniques to Handle DIFFICULT PEOPLE! Using Up Brain Neurons on DIFFICULT PEOPLE! Stress costs us in neurons! Stress of any kind exacts a high price on our brain, body, and relational health. Research shows that high performers (usually high in emotional intelligence) take that reality seriously, and they stay in control of optional stressors. This includes managing the impact of difficult people on their internal and external environment. Studies have long shown that stress can have a lasting, negative impact on the brain. WHEN DEALING WITH DIFFICULT PEOPLE! And it’s Far More Than You Realize! How to Treat You….and Possibly How to Treat Others! 1. Bradberry says: Rise above when dealing with the difficult person at work. Access your inner ONE (Reformer)! In family life, it’s even more important you don’t get sucked into the emotional chaos the difficult person swims in; keep your objectivity in place and let those difficult patterns face the upward pull of your rising above an invitation to drama. You don’t need to answer the drama, just deal with the facts. 2. 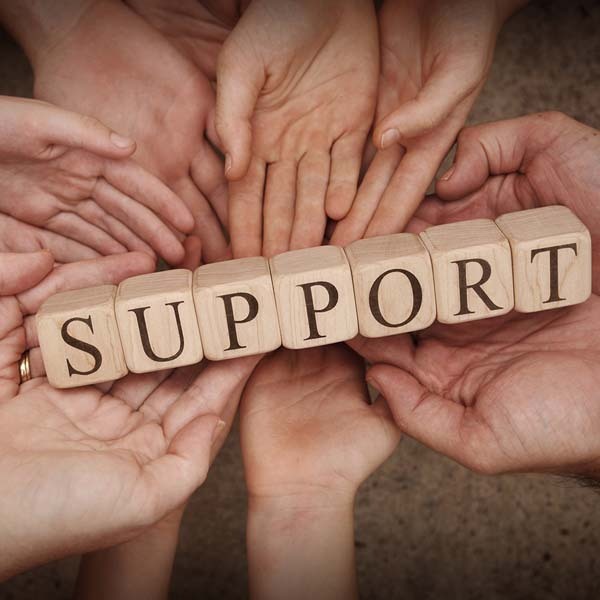 Bradberry says: Use your support system when dealing with the difficult person at work. Access your inner TWO (Helper)! In family life, it’s even more important to get perspective on the crazy-making interactions with a difficult person, and see where we need to adjust out boundaries, means having the social humility to ask safe people for their input. Ask them what they would do. Defuse some of the difficult energy by staying in real connection with the healthier people in your life. 3. Bradberry says: Don’t focus on problems — only solutions when dealing with the difficult person at work. Access your inner THREE (Achiever)! In family life, it’s even more important to keep your focus on how you will improve your management of the difficult-person situation, and your real priorities. If you let the difficult-person problems become your focus, you’re creating more stress for yourself. Keep that solution-focus energy out in front of you, as a shield, when dealing with the difficult. 4. Bradberry says: Stay aware of your emotions when dealing with the difficult person at work. Access your inner FOUR (Individualist)! In family life, it’s even more important to be honest with yourself about when your buttons are getting pushed by the difficult person. Know yourself, and know when you need some time to regroup and strategize. Introduce those difficult patterns to the individual you are by taking care of yourself actively. 5. Bradberry says: Don’t die in the fight when dealing with the difficult person at work. Access your inner FIVE (Investigator)! In family life, it’s even more important to learn to look out for your inner resources. Toxic battles with difficult people can leave you depleted, without a lot to show for the struggle. Investigate those difficult patterns ahead of time, think them through, and have an exit strategy ready to keep your emotional distance in place. 6. Bradberry says: Don’t forget when dealing with the difficult person at work. Access your inner SIX (Loyalist)! In family life, it’s even more important to value your memories. Yes, move on, forgive, understand that the difficult person is in pain. However, stay vigilant regarding the memories of of their character! Difficult people manipulate and play games, because it’s what they know to do at their level of development. Face that reality head on with the level of trust the difficult person has earned. Keep memories intact. 7. 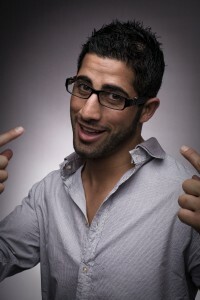 Bradberry says: Squash negative self-talk when dealing with the difficult person at work. Access your inner SEVEN (Enthusiast)! In family life, it’s even more important to do this. I love Bradberry’s admonishment that we should AVOID NEGATIVE SELF-TALK AT ALL COSTS. Difficult people tend to send normal folks into those negative self-assessment spirals. Remember to love your life enough to leave that kind of pointless pain in the dust. It’s not practical, it’s not real. Introduce those useless guilt messages to THE SQUASHER! Haha. 8. Bradberry says: Set limits & Establish boundaries when dealing with the difficult person at work. Access your inner EIGHT (Challenger)! In family life, it’s even more important to get comfortable with healthy firmness, AND with coming off a little callous or rude, when unavoidable; don’t let your time & energy be a resource the difficult person gets to waste. Challenge the difficult patterns, and trust your ability to spot game playing when you see it. 9. Bradberry says: Get some sleep when dealing with the difficult person at work. Access your inner NINE (Peacemaker)! In family life, it’s even more important to practice all the things that arm you with the brain power and creativity you need to deal with difficult people. And sleep is a vital tool. Emotionally intelligent people get enough sleep, because they are always checking back in with their center, and asking what creates or damages peace in their life. Sleep is an essential peacemaker to have at your side when difficult people are in your environment. Love that you’re keepin’ those brains relationship-ready! Posted in Marriage Counseling, People, Psychology, The Relationship Doctor Blog, Uncategorized Leave a Comment on 9 Ennea-Wise Techniques to Handle DIFFICULT PEOPLE!